In the tech-savvy era where the entire world runs on the social media platforms, double taps, tags, stories, and swipe ups are no new terms to talk about-Yes, I’m talking about the most colorful platform of social media: Instagram. And in this blog, we’ll discuss on some of the best hotel Instagram ideas you can use for your business. Now I’m not sure if you are aware of the fact that, Instagram can be the goldmine of opportunities for marketing your hotel business. All you have to do is, follow the right Instagram strategy for hotels and drill down the ground until you find the best gold!!! When on Instagram, the main game is all about following and getting followed by. That is, the more the number of followers you have, the wider is your reach. And these days, every other person has an active account on Instagram, in fact, even their toddlers and pets are on Instagram. By the way, did you know that Instagram has over 1 billion monthly users?! So yeah, it is the second most used social media platform after Facebook. And that makes it the best hotspot to market your hotel business. Are you wondering which hotel Instagram ideas will work in just the right way for your business? Well, worry not because that’s all I’m going to talk about. But before I head on with that, let us glance at the list of the ideas for using Instagram for hotels effectively. To make the most of the best hotel Instagram ideas, you must always subscribe for a business account with your hotel name and logo as the profile picture. In case, you already have a personal account for your hotel, you can easily change it to a business account. Over the time, Instagram has undergone many changes. Earlier when people started listing their business on Instagram, their audience had to do a lot of searching and seeking. But, now with the business profile that is not the case. Firstly, Instagram asks you to list down your hotel business in a particular category so that it can automatically put your hotel among the similar audiences. This brings your hotel Instagram profile to light. Then, you get the liberty to put up your contact information like your business email, phone numbers right on your profile so that your audiences can find you and interact with you without any trouble. But one of the best perks of having a hotel Instagram business profile is that it lets you run countless promotions directly from your account. It also lets you choose your audience and your promotion budget in the process. Although these promotions are paid, the charge is nominal but the outcome – it is lavish!!! Furthermore, it also lets you have proper insights to your activities, your content, your audience, interactions, discovery and everything else in between. With this, you can easily figure out how your business is doing on Instagram. So basically, it is not just your hotel’s Instagram profile, it is, in fact, the entire string of business; which eventually becomes a part of your hotel promotion ideas. But most importantly, you must provide a link to your hotel website. By doing so, you render yourself to unlimited opportunities for direct bookings. This is one of the most ignored hotel Instagram ideas but if you pay attention, it can help you in ways you may not have imagined. The most useful Instagram strategy for hotels is to put up a captivating call to action statement on your Instagram bio. And you’ll see the effect accelerating dramatically in no time. Experimenting with bios can become even more interesting when you put some promotions on the board. If this is done properly, it can drive you a crazy influx of inquiries. While on Instagram, this is something you have to do more frequently than anything else because that’s what Instagram is for. You can put up posts about many things and guess what, the best of the best hotel Instagram ideas is to put engaging captions in your posts. …and the list is never-ending. Remember: The more interesting your feed gets, the more you will be talked about. Talking about our industry, most people like to see a lot of things about hotels. So you can even post about your staff, your guests, and everything in between to make your gallery interesting. In addition, this will even incorporate a sense of trust among your viewers. But while you do this, don’t forget to mention and tag them– this will increase a lot of interaction and encouragement. So, basically, there are many things to post about that cannot only stir interest among your lookers but also get them engaging. You can posts pictures, short videos, hyperlapse videos, timelapse videos, GIFs, boomerang videos and what not! The more you use, the more you explore and the more you explore, the better you get at applying the hotel Instagram ideas. But the major and the only rule of this step is: you have to keep posting regularly. Furthermore, there are many other ways you can escalate the interaction to your posts. You can comment, reply to the comment and even chat with your lookers via the direct messaging feature of Instagram. ‘Stories’ are one of the amazing features that Instagram brings along with a different set of the hotel Instagram ideas altogether. Basically, it is a feature that lets you post photos and videos that disappear after 24 hours and oftentimes, they are watched and responded more than your regular posts as a lot of people prefer to watch stories than check out posts. Hence, even Instagram makes an extra effort to put stories in your viewers’ timeline. So, just like posts, you should be very regular with publishing stories. Introduce limited periods deals, put the swipe up and direct the looker to the booking page. You can run interactive polls to know the feedback of your audience on your existing and upcoming plans. During some events or just generally, you can highlight some behind the scenes of your hotel. This will increase your interaction with your lookers and also, this way you’ll be able to highlight the bests of your hotel. The best thing about these stories is that you can save the best of them as highlights and then these highlights can be seen anytime by your viewers. You can even arrange your insight stories chronologically. By doing so, you get better with your storytelling skills which in turn will work in increasing engagement on your profile. A hashtag is a word preceded by a # sign. They look something like #Hotel #BoutiqueHotel #hotel #BandB #BnB. These hashtags work like a label to the content and help people to find the things that they’re looking for- Something like keywords. This makes them one of the most trendy hotel Instagram ideas of all the time. Alphabet, words, even sentences – people put everything on hashtags. In fact, people have different hashtags for every day of the week like #MotivationMonday, #ThrowbackThrusday etc- not only that, even the months and years have become the hashtags. To put this game to the right, now, Instagram has even enabled their users to follow hashtags. With this feature, if a user follows the particular hashtag, they can see all the posts that are included in that hashtag. The best thing about hashtag is that any word can be the hashtag-your name, your pet’s name, even your property’s name can be the hashtag. For the wider visibility and reach of your hotel property, you must definitely use hashtags in your captions. The more the hashtags, the more people you would be able to reach. In that case, using more and more relevant keywords as your hashtags can bring the most fruitful guests. 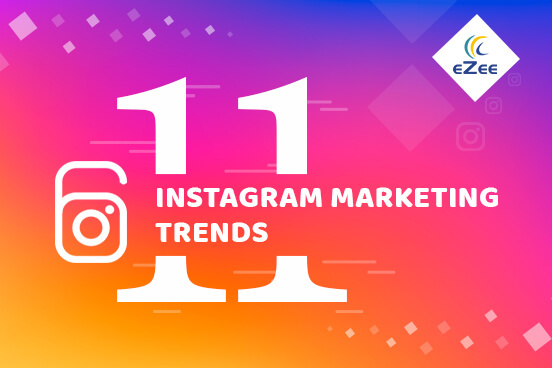 Instagram ads are the example of most active promotions and it is quite simple to connect with them. Though you’ll first have to connect your account to a Facebook business page that allows you to use Facebook Ad manager. This Ad manager lets you run ads on both, Facebook as well as Instagram and in the process, you can even customize your target audience and budget of the ad. Furthermore, you can even monitor the performance of those ads with the insight module present in your Instagram business profile.. There are four hotel Instagram ideas combined in one that can trigger your ads profoundly. They can be done through these ways. In stories: This is one of the best hotel Instagram ideas to trigger your ads because, for a while, people might not watch posts or videos but they would surely watch stories. You can post pictures, short videos, promotional deals or anything as such that brings back a lot of responses to you. Moreover, even Instagram makes extra efforts by purposely putting the stories in your viewers’ timeline. Posts: Posts are as much effective as stories. Instagram puts these ad posts in the middle of the news feed of the audiences that you’ve chosen and directs them to your profile. These posts can be pictures or short videos or anything for that matter. This way, you’ll not only have an increased number of followers but also increased the number of probable prospects. Carousel: These are the ads that come with the “swipe ups” with a photo or videos. These swipe ups are basically, call to action buttons that have links incorporated with them. Which makes one of the most captivating hotel Instagram ideas. With such posts, you can easily put a link to your hotel website. Moreover, these kinds of stories offer you a creative space to tell a longer story about your hotel, allowing you to highlight multiple services that you offer. You can also share a multi-part story, or dive deep into a single service in up to 10 images or videos. Canvas post: Canvas posts ads are the videos in the stories but are deeply engaging. They are specially optimized for mobile viewers as they load faster. Facebook has numerous canvas templates that easily build such canvas posts for Instagram. Such ads can also be custom made. With the rise of Instagram and other social media platforms to attract travelers, there has been a great rise in photographers, storytellers and artists. They have a huge number of followers on Instagram and platforms as such. They basically are the online influencers and have a great dominance among their followers and so, calling them onboard is considered as of the most compelling Instagram hotel strategies because somehow, people religiously follow the things they say or do. Hence, inviting such influencers can help you make a lot of revenue. In return of such endorsements, you can either pay them in monetary ways or you can offer them free services; eventually helping you implement Instagram for your hotel in a very effective manner. This feature can also prove to be one of the most fruitful hotel Instagram ideas because it allows hoteliers to post longer and more interactive videos. To an extent, it works like YouTube. With this feature, you can put your hotel’s best sights for a longer time. You can even broadcast your deals and packages, highlight major hotel events, guests interviews where they talk about their experience at your hotel and a lot of other internal things like the insights of your front office on a busy day, the working of your housekeeping departments and the lists goes on. You can either create your channel right from your Instagram profile or you can download a separate application by the same name. With Instagram hotel business profile, you even get the access to the analytics of the interactions that happen on your IGTV posts which can later help you to analyze. One of the best hotel Instagram ideas is that you put a right post on a right time because you may be doing the right posts, talking about just right deals in the rightest way but if you don’t do at the right time, all of it is just a waste of time and resources because such interesting content is of no use if your audience can’t see or react to it. Instagram engagement- an activity where you exclusively analyze your social involvement and the response you get upon it. In other words, you closely have to notice the number of followers, likes, comments, direct messages along with their time, their response, the region from which you are receiving on your hotel Instagram profile. This will all help you in making your business and marketing strategies better. Also, you should know that more the engagement on your posts, the more discoverable you will become and hence, being engaged on Instagram is extremely important. I have noted some ways which will help you use Instagram for hotels. These will help you boost engagement on your hotel Instagram profile. Plan your posts in prior and put the hashtags according to festivals, events, seasons, color themes or in any way you want. And for those posts, get some new hashtags that go together with along with the usual ones. Of course, you can make impromptu posts in between depending upon the plans that you come up with. Writing engaging captions and putting up various call to action statements (CTAs) can fetch a lot of attention. While looking for an engaging caption, you can just randomly ask for feedback or ideas or anything as such in general. CTAs can be used while posting pictures of some deals and packages. Moreover, making a storyline with multiple posts and videos can also help you in bringing your hotel and its services to the limelight. One of the most forceful hotel Instagram ideas to expand engagement on your hotel Instagram profile is to keep posting in one or another area. Instagram stories offer a variety of engagement opportunities, including the newest Poll and meter feature. The Instagram algorithm notices all actions of engagement by replying to a story or sending a story to someone or and such likes. The more the engagement, the likelier your posts will show up in the feed of maximum users. Well, Instagram has made everybody feel like a superstar since every now and then people keep going live on Instagram. This feature of Instagram can allow you to broadcast live videos of your hotel and the services you provide. This is another hotel Instagram idea that is interactive and very much in trend these days. You can go live in any event or festivals or just generally. Due to this, your viewers will have a maximized coverage to the insights of your hotel, which in turn will make you more trustworthy than your competitors. Hence, applying this Instagram strategy for your hotel will not only increase the level of guest engagement but will also put you in your viewers’ subconscious. In the end, yours will be the most preferred hotel in the area. This is the latest Instagram phenomenon used by top Instagram influencers just to rise up in the pool of algorithmic post pattern of Instagram. This phenomenon can drastically boost your engagement if done rightly. Basically, they form several group chats of 30 people each forming an internal web of Instagram users. These group members work with each other to comment, like and share each others’ posts. Due to this, gradually the engagement activity would boost up and your post would be featured on the “explore more” section of Instagram and also will crawl up in your viewers’ newsfeed. You can either get into such pod groups or ask a few Instagram influencers to react on your posts within their pod groups. This can be an interesting activity to boost your hype among your audience. You can run interesting contests for photography, designing or cooking and against them, you can provide some small discounts, gift hampers or some alluring deals. To have a greater result out of it, you can even team up with any of your partner or influencer so that both of your followers can see your posts and react on it. This is one of the most guest drawing hotel Instagram ideas as this feature is like a personal messenger of Instagram where you can directly interact with your followers and hence, it is considered as of the most effective way to negotiate your packages and promotions directly with the interested lookers. In addition, you will find more prospects on Instagram than on any other platform. With the Instagram direct messaging service, you can drop in some interesting deals and packages as direct messages of your viewers. These will be definitely seen by them and in turn, they have good possibilities to become your probable prospects. Yes, quality matters and most of the time it is neglected. It matters because what you post and how you post is going to work for you in drawing guests or lookers in general at your hotel. In that case, uploading poor quality content is not going to help you. Moreover, it is not actually bad to have a good set of photography skills that works for your business. Here, with quality, I mean the type of pictures that you select to post on your hotel Instagram profile. The clicked pictures and videos should be high in resolution and must be sized rightly. The ideal size of photographs on Instagram is 1080 pixels. In addition, your Instagram profile would receive a good number of spectators if you follow the color themes in your promotional pictures and videos. Such kinds of posts are responded more as they are eye catchy. Even this is one of the most effective hotel Instagram ideas that make your entire hotel Instagram profile vividly responsive. Well, these are 11 points that you can use to boost up your hotel Instagram marketing strategy. Following these strategies bit by bit regularly, you can gradually elevate the number of lookers and bookers for your hotel. It can even be said that the more activity you show up on Instagram hotel profile, the more you render your hotel to receive a number of guests.